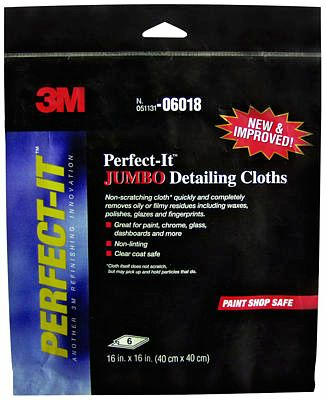 The 3M Perfect-It Jumbo Detailing Cloths (6 Pack) removes oily or filmy residue including waxes, polishes, glazes and fingerprints, and is ideal for paint, chrome, glass, dashboards and more. 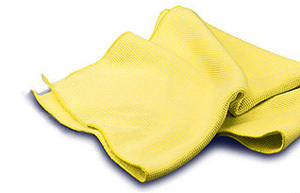 Perfect for detailing cars, trucks, vans, SUV's or motorcycles. More dust trapping than traditional cotton and paper cloths. 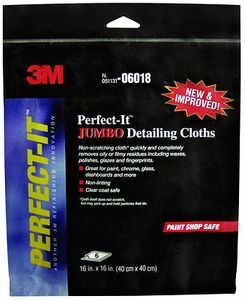 3M's unique super-soft micro-texture is safe, chemical-free, lint-free and will not scratch or streak delicate surfaces. Contains 6 cloths per pack.